Quantum Physics comes with an instantaneous action at a distance. A simultaneity. I call it the QI, the Quantum Interaction. This simultaneity, this action at a distance, has baffled Relativity enthusiasts. See “Taming The Quantum Spooks”. Jules Henri Poincaré asserted the Principle of Relativity (1904) and demonstrated that, supposing that the speed of light was always constant, one could get all the equations of Special Relativity. Then Einstein, opportunistically jumping on the immensely famous Poincaré’s work, asserted that the Frenchman’s work showed that the speed of light was constant (whereas a more cautious Poincaré asserted earlier that, considering that the speed of light was always found experimentally to be constant, one should view that as a law of physics). Of course, Einstein did not quote the French, as he was a good Swabian (and not a good European), keen to ride, as his mentor Planck was, Prussian fascism. 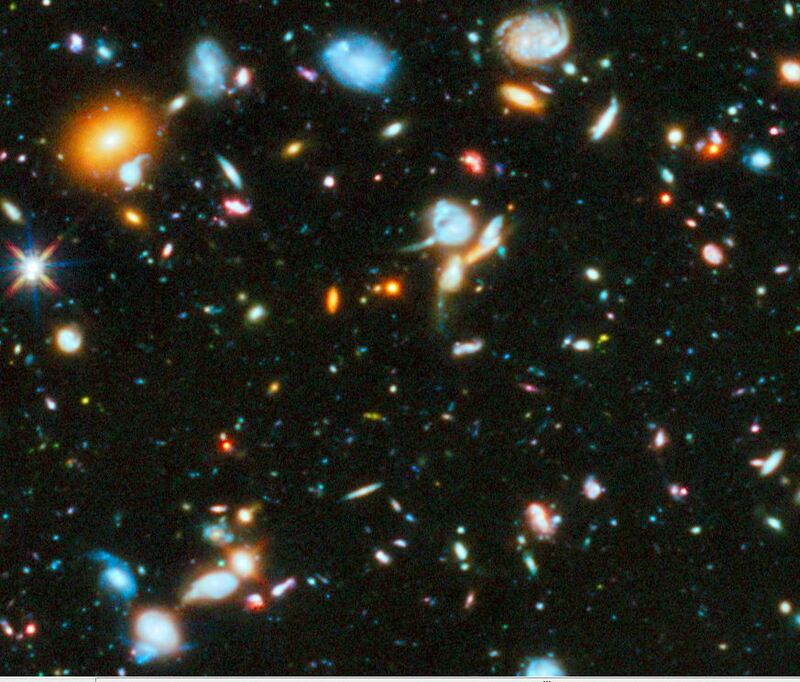 This Field Of Galaxies Defines An Absolute Frame. It Is Plain To See, Only Years Of Learning Academic Physics Can Brainwash Someone, Not To See It. Poincaré knew very well Lorentz’s Local Time theory, which he had helped established, in the preceding quarter of a century. However, Jules Henri still believed in Absolute Time (Einstein did not). Why to believe in Absolute Time? Poincaré did not wax lyrical on the subject. He actually said nothing (contrarily to Nobel laureate Bergson twenty years later, who violently contradicted Einstein). Nor did any physicist, in the meantime (110 years), dare defend Absolute Time (we have lived in an Einstein terror regime!) But this what Quantum Physics quietly does and what I will now dare to do (if I can contradict professional Salafists, I surely can dare to contradict professional physicists). So is there an absolute reference frame? Sure. That frame is the one steady relative to distance pulsars, quasars, distant galaxies, etc. (no rotation) and steady relative to the Cosmological Background Radiation. Then one can talk about simultaneity, absolute time, and thus instantaneous interaction at a distance. There is no contradiction of Absolute Time theory, or should we say, possibility, with Local Time Theory (LTT). LTT is about light clocks. Relativity is about light clocks. Yet we know of other interactions… plus the QUANTUM INTERACTION. BTW, in “General Relativity”, “Einstein’s theory of gravitation”, the speed of light is not constant. Even Einstein recognized this. Conclusion? One can profitably consider Ian Miller’s “Dark Energy and Modern Science“. Even physicists can believe what they believe in, on the most important fundamentals, because it is fashionable, a rite one has to believe in, so that one can become an initiated member of the tribe. And the more absurd the belief, the better. Yes, well, and then? Is that supposed to be true? Speech and listening are somehow opposed, and speech is useless? But if someone is speaking somebody else is listening, no? The Dalai Lama makes a dichotomy, a Manichaeism, a total opposition between “speech” and listening. That’s erroneous. He compounds the mistake by telling us that speech cannot be creative. The Dalai Lama views mental exchange mostly as listening (religiously?) and then mechanically reproducing what one has listened to. In other words, be a Tibetan monk. When people talk they do this according to a method peculiar to themselves, as different individuals, handling differently different subjects, either human or theoretical. The speech spectrum has two extremities: on one end, brainless slogans repeated with the intelligence of a recording. On the other end, talk can be used to weave a meta discourse bringing together disparate elements of one’s mind never united before. So the spectrum of speech goes from brainless slogans, all the way to its exact opposite, the creation of new logic. So what did Einstein do which was original? He weaved all preceding efforts in just one discourse. He repeated what he knew, and many others knew, but organized as one (apparently) simple logic (which swept under the carpet some of the difficulties Poincare’ was bothered by). None of what Einstein said was new, but the presentation was. Jean de La Bruyère‘s “Tout est dit depuis qu’il y a des hommes et qu’ils pensent” (All is said, since there are men, and they think) is doubly false: not only there are new facts, but new ways of organizing them. So there is an alternative to the dreary opposition of talking versus listening: DEBATING. Then the back and forth between talking and listening can bring new logic not suspected before. Even debating fools can be useful that way: the method was used by Socrates and Plato, or by Galileo Galilei (in the latter case, it made his friend the Pope furious, as it suspected that he was the fool Galileo had depicted in his “debate”). For example debating climate deniers was useful to me: their brainless opposition helped me point out the irrefutable, and go around their irreducible single-mindedness. We went from 280 parts per million (ppm) of CO2 EQUIVALENTS to 450 ppm of CO2 EQUIVALENTS (CO2 + CH4 + NO + NO2 + Fluorocarbons, etc… in 200 years. Obviously not something one can brush off: these gases have physiological effects, if nothing else. What no one knew before. Not just from what others think they know. “Knowing” and “Thinking” are much tortured, thus tortuous, concepts. “Debate” comes from the Old French “Debatre” (to beat down completely). The modern French usage is noble: it means a thorough exchange of ideas and emotions supposed to create the sort of mental turmoil necessary for mental progress. We are very far from the Dalai Lama’s implicit assertion that speech is devoid of creativity and only the others know something new. Now, indeed the speech of someone leading a superstitious religion is bound to be mechanical (Tibetan Buddhism is very superstitious, Zen Buddhism is not). Complexity of thought is characterized by meta-discourses. The usual theory of “META” involves generating new elements through Cantor Diagonalization (or something close to it). I simply say that a theory is META relative to another if it is bigger. For example the physics we have today is bigger, than any previously, because not only it’s more correct, but it exactly explains the erroneous physics of the past, and how our unfortunate predecessors got to commit their errors We beat them up completely. So listen, yes, but don’t forget to contradict… And to complexify. It is not enough to present a better theory, one has to demolish the preceding theory. A debate is automatically bigger. It is more meta. Anne, my sister-in-law, has lived all around the world. American-born, now emigrated to Australia, she just observed the following. Anglo-Saxon countries such as Australia, the USA, Canada, are young and sport obsessed. A question is why the sport obsession? The sport obsession is not just there to fight the poor diet and general spiritual vacuity particularly marked in the USA (as if it could). It is there to teach the young to accept defeat. Sport practice, thus graciously accepted defeat, is the back door to welcoming debate, and to accepting its conclusions, however unpalatable. Thus obsessive sport practice is key to British style pragmatism. We think well, because we are an aggressive species, and sometimes, all too aggressive (and that’s why Einstein quoted nobody in his famous 1905 paper). Religiously listening to others, as the Dalai Lama proposes to do, carried to the extent he proposes, believing we cannot think anew, all by ourselves, is actually immoral. 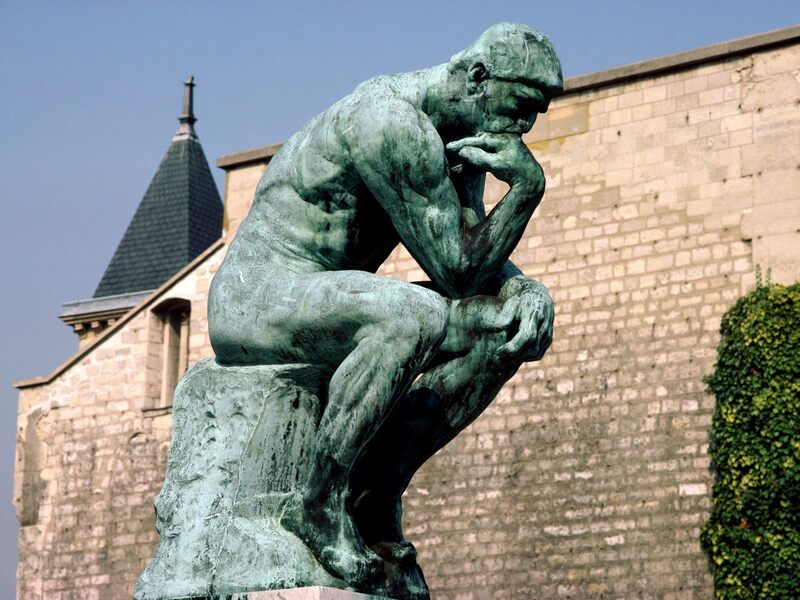 It is throwing down THE THINKER, as a parrot to himself. We live increasingly in the shared economy: if people know how to drive, cook, or make a bed, they should be able to get compensated financially when they offer their services to someone else. And yes escorting someone is not brain surgery, and one should not have to be certified and mandated by the state to do so. Similarly, we live in the SHARED MIND, and that should be directly connected to Direct Democracy. The Shared Mind ought to be, first of all, about debating issues, with priority given to those directly impacting the survival of the biosphere, that is the survival of all we love. Last, and not least: debate, as I explained, involves aggressivity. But one has to learn to keep it in check, naturally, as too much aggression will kill further debate. So learning to debate is a skill. A skill which involves listening, talking, and learning to go beyond, where ideas and emotions have not gone before. And to learn to let ideas and emotions run free, before corralling them back, changed as they are by their excursion in the wilderness. Debating is actually what the café’ culture is all about, promoting deeper thinking, and that is exactly why the Islamist State tried to kill it in Paris with bullets. That’s why it will have to be beaten down completely, starting with its terror manual. Photons are the carriers of the electromagnetic field. Each single photon is endowed with a given energy, hf, where f is the frequency of said photon. In some circumstances, the energy a photon possesses is less than the one it needs to get out of a gravitational well. So it cannot get out: a black hole forms. Essentially, this comes from the fact a photon’s energy is finite, whereas the energy of a gravitational field can grow infinitely… Or so I, and others, used to think, until I became skeptical. No Doubt There Are Black Holes. Question: How Come? Simulated view of a black hole in front of the Large Magellanic Cloud, one of many small galaxies satellite to the giant Milky Way. This Black Hole is assumed to be alone, without accretion disk (accretion would make the Black Hole very luminous!). The ratio between the black hole Schwarzschild radius and the observer distance to it is 1:9. Of note is the gravitational lensing effect known as an Einstein ring, which produces a set of two fairly bright and large but highly distorted images of the Cloud as compared to its actual angular size. In the case of photons, what is blocked is light the electromagnetic field: light, in another word. What is blocked when gravitons get blocked? The gravitational field itself! Thus a black hole would not just then show up as a black, “frozen star”. 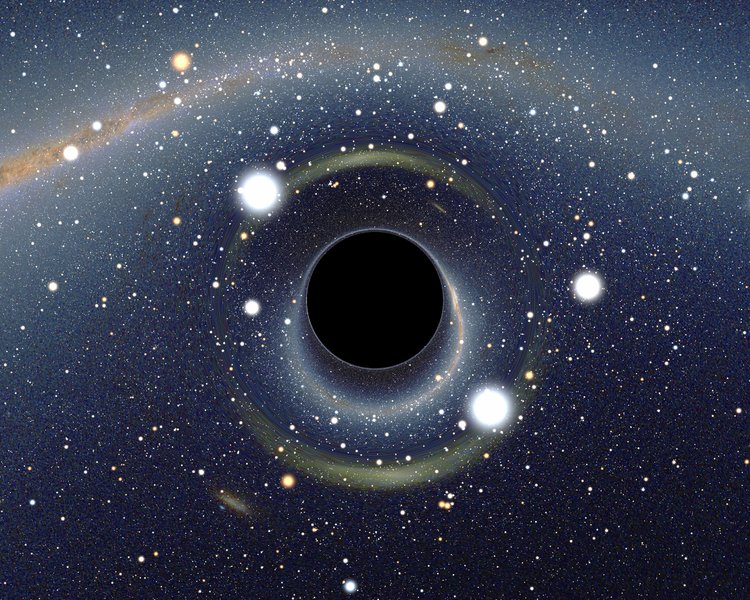 A Black Hole should outright violate (apparent) matter conservation. It should disconnect gravitationally. Following this simple logic, at some point a mass collapsing gravitationally should disappear, not just visually, but gravitationally. Yet, astronomical observations reveal hyper massive black holes at the center of galaxies. This tends to indicate that physics may happen inside a black hole that we can neither observe, nor predict. I presented these simple ideas a very long time ago in Stanford, a private university in California, personally or in seminars, to some of the household names in the field. The reaction of my iconoclasm was close to indignant anger. It’s easy to see why. We human beings live lives which are endowed with sense only by forgetting that we make little sense individually, absent others. A way to make sense is by giving love and care. Another, mostly the obverse, by the will to power. A scientific, or, more generally, an intellectual career (philosopher, poet, writer, etc. )marries both love and power. Science, in particular, unites a potent hierarchy akin to priesthood, with the pretense of great magic vis-à-vis the public and being a gift to humanity. Or so it is perceived by its participants. Break the spell, and scientists feel as insects instead of semi-gods, and the absurdity of their position, that of thieves in full sight, exposed to the pillory, is too much to bear. Yet, a quick glance at the history of science shows that great errors and lack of understanding, spectacularly erroneous theories could have been detected easily, with simple observations. I am not saying that science is always simple. Far from it. For example, the heliocentric theory could be only demonstrated to be sure with 100% certainty, only after a careful study of the phases of Venus, through increasingly powerful telescopes, during the middle of the seventeenth century. Before that, geocentrism failed the smell test (it was too contrived, and the sun was so much bigger). True. The smell test is philosophical in nature. Before that, one could only say that it was un-scientific to rule out the most likely theory (heliocentrism), just because one could not prove it, and because it enraged so many people in high places. It cannot be any different today: the very idea of the priesthood, scientific or not, is making some humans into quasi-gods. Out of this divine hierarchy comes the certainty that metaphysics has been solved. Thus, when I suggested that, on the face of it, ultimately, Black Holes ought to disconnect gravitationally with the rest of the universe, I undermined the principle that the greatest scientists (I will not write their names as not to enrage them further), covered as they are with great medals, after all, do not understand much more about gravitation, than we did, say, three centuries ago. I caused these people existential pain: no, you are not the greatest of the great, having achieved greater understanding than anyone did before you, colossally dominating history and humanity, and deservedly so. What you call greatest of the greatness, seems, after all, to be just errors of the smugly ignorant. In my theory, elementary particles are not only non-local (Einstein’s Error was to suppose that they were), but they break (giving rise to Dark Matter). But I will not go as far as to say that “nothing remains”. Far from it, my dear Uncle Albert. Quantum Field Theory remains, as an approximation. Just as the epicycle theory remains, as a sort of Fourier Analysis of a periodic motion. Some physicists will laugh at the simplicity of the preceding reasoning, and just exasperatedly utter: “that’s ridiculous” as some of the most prestigious specialists of the field did to me, decades ago. Maybe it is. Just tell me why. I am humbly waiting. That Quantum Theory is a fraud, I have believed for decades. I still remember a seminar I gave in Stanford, a bit about that, and the hatred I got in return. But it seems my point of view is finally gaining ground, among the powers that be. I believe in moods. A mood is a neurohormonal state. 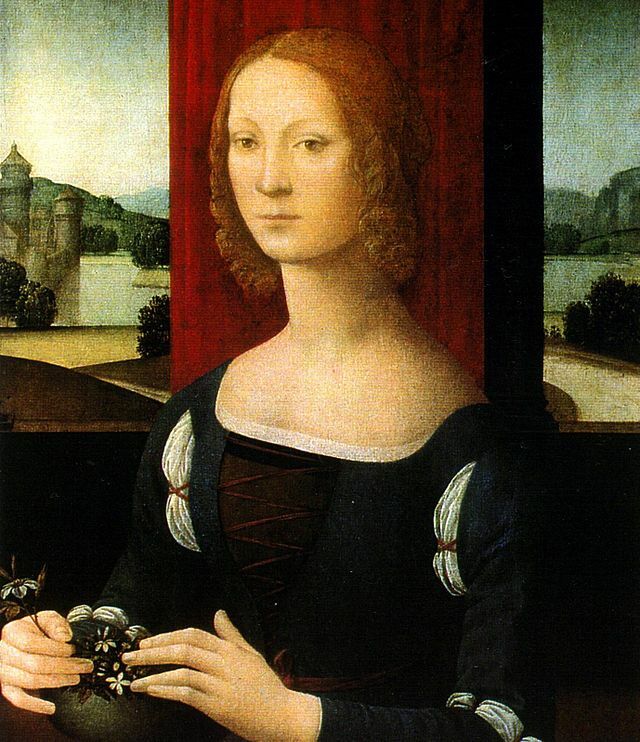 It is culturally transmitted (although there are genetic factors, as the case of the incredibly fierce Catarina Sforza makes clear). Consider Athens: when it was a Direct Democracy, Athenians were ready to die for freedom. A century later, the mood had changed. When a sea battle against the Macedonians turned badly, the Athenian captains were not keen to fight to death. Instead, they surrendered Direct Democracy for 24 centuries (and counting). What happened with Direct Democracy? Why did the Athenian fleet surrender readily when confronted to Macedonian plutocracy, whereas, time and time again, Athens had fought the Persians to death at Marathon, at Salamis, on the seas, in Boeotia, in Egypt, etc.? Well, dominance by pro-fascist philosophers (Socrates, Plato, Aristotle) changed the mood from fighting to death for freedom, towards tolerance for fascist leadership (from Solon 594 CE, to the philosophers around Pericles, the mood had been just the opposite). The ultimate mood is the one pertaining to reality. Is reality real, or should it be just what the masters want it to be. Can one make fun of reality, Should we? Making fun of reality? What else does standard Quantum Theory, the so-called “Copenhagen Interpretation”, when it considers that cats are alive and dead, SIMULTANEOUSLY? I spent most of my life worrying about what is really real in physics. That implied really wondering if the supposedly greatest minds in physics were really for real. Or whether they, and their admirers, were delusional, if not outright fraudulent. I am happy to see my point of view starting to be shared by the Establishment. Those inclined to philosophy, economics, sociology and the like may scoff about wondering about “fraud” in theoretical physics. However the taking-over of “austerity”, also known as plutocracy, is directly related to a loss of a correct sense of reality. This sense of reality is directed by the head, the top thinkers, and the fish rots by the head. An example is Einstein’s discovery, or, should we say, explanation, of the photoelectric effect. It’s no doubt correct. Or, let me rephrase this more correctly, the zeroth order explanation of the photoelectric effect by Einstein is correct. It was a trivial idea, but still a new idea. 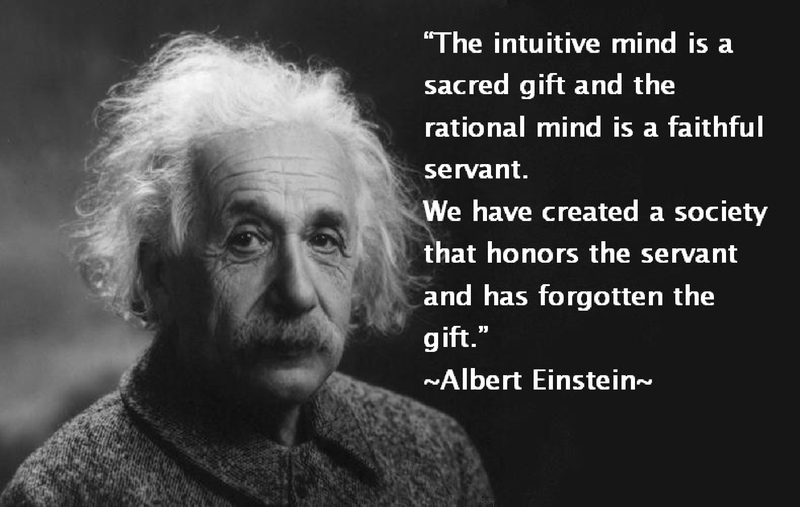 What Einstein did was to suppose that electromagnetic energy was absorbed by packets. Planck, in reasoning that was much harder, conceptually, logically and mathematically, had introduced the quantification of radiation for emission (inside a cavity). That is, that radiation was emitted by packets. Einstein made a logical hyper-jump. What’s a logical hyper-jump? I am introducing the notion, it’s globally valid in all theories. It consists in introducing a new axiom, emotionally inspired. The emotion here is that Planck had emitted packets. Einstein decided to receive them. It’s the symmetrical emotion. But that’s all the logic there was, and this infuriated Planck. Einstein, as I have explained, did not stop here: he made another logical hyper-jump. That one, he did not need to explain the photoelectric effect. That was the start of the dead-live (“Schrodinger”) cat madness, and thus the Multiverse deranged debasement of reality itself. When the elite thinkers are idiots, or, worse, deliberately fraudulent, it is no wonder that the 99.9% are like babies one steals lunch, if not life, from. An electron receiving energy from light, receives a packet hf. If f is too small, the electron cannot be emitted: the electron needed some energy, say A, to escape the material. One needs hf > A. Nor can an electron just pile up energy from light until the stored energy exceeded A. Why? Because energy is RECEIVED in such packets, and only these packets. It was hf, or nothing. That explanation of the photoelectric effect was both necessary and SUFFICIENT. Such an explanation is exactly the symmetric statement of the one made by Planck in 1900. (Planck did much more than that, he had to invent his constant, and it is astounding that he did not explain the photoelectric effect, as he had done 99% of the work). Should Einstein have said what I said, he would have explained the photoelectric effect, instead of putting all of physics on an erroneous path. However, Einstein instead said something prophetic he had no reason to proffer. With Planck’s E = hf, this is what gave Einstein the Nobel Prize in 1921. So not only Einstein got it wrong, but so did the Nobel committee. Einstein claimed that light is made of “quanta localized at points in space, moving without dividing”. Thus, Einstein invented elementary particles. Einstein had no reason for of this fabrication, whatsoever, and did not need it, as I said. Fast forward thirty years. By then, thanks to the likes of Dirac (inventor of Quantum Electro Dynamics, who stumbled on Cartan’s Spinor Space and Antimatter) and Von Neumann (Functional Analysis maven), etc. the Quantum formalism had been sculpted like Mount Rushmore in the mountains of natural philosophy. The formalism consisted in claiming that the elementary particles invented by Albert were vectors in a (Hilbert) space whose basis was made of the possible results of the experiment E.
However, IF Einstein’s initial invention was false, so was the picture of reality it conveyed. And indeed, as we saw, Einstein had no reason to claim what he did: he violated Newton’s “Hypotheses Non Fingo” (“I do not FABRICATE hypotheses”… my translation). Galileo, to expose his ideas more pedagogically, set-up a trialogue, between “Simplicius” and two others (one being Galileo himself). Simplicius: So you say that Einstein fabricated localized Quanta, out of his fertile imagination, and that axiom wrecked all of physics? Patrice Ayme: Exactly. I would prefer to call it not fertile, but obsolete, imagination. After Einstein had fabricated his seemingly innocuous hypothesis, the localized elementary particle, the next step was to identify it with the wave function. Simplicius: Do you not insist that the world is mostly made of Quantum Waves? PA: Yes but “Wave Functions” are just fist order approximations of “Quantum Waves”. “Wave Functions” cannot be real, they are mathematical artefacts. PA: Wave functions are made of end states, the so-called eigenvectors, the end products of experiments. That makes wave functions intrinsically teleological, made up of the future. You may as well identify human beings to their tombstones, that’s how they end up. Simplicius: What is the connection with the Multiverse? PA: Wave functions are intrinsically multiversal, they are made by adding different outcomes, as if they all happened. But only one can ever happen, in the end. However, when in flight, we are been told that (Einstein’s) localized particle is made of as many pieces of universes as there are eigenstates. Simplicius: So you conclude that Einstein’s localized quantum hypothesis plus the basic Quantum Formalism implies that the simplest elementary particle is made of pieces of different universes that will happen in the future? PA: Exactly. Einstein, in conjunction with the Hilbert formalism, invented the Multiverse. This is what Everett observed, and, at the time, it made the inventors of Quantum Mechanics (minus Planck and Einstein) so uncomfortable that Everett was booted out of theoretical physics, an even his adviser Wheeler turned against him. Simplicius: But did not Einstein demonstrate with the EPR thought experiment that “elements of reality” could not be localized? PA: Exactly. With a little help from Karl Popper, maybe. Entanglement has been experimentally shown to not be localizable with the metric used in General Relativity. So light quanta themselves not only are not points, something that was obvious all along, sorry Einstein, but also, the speed of light is an emerging metric for the Universe. It has been a conspiracy all along. PA: Yes, there is a famous mistake in Dirac’s Principles of Quantum Mechanics. He insists that a photon interfere only with itself. That is demonstrably false (radio interference and independent lasers playing double slit). Dirac had to say that to NOT make the Quantum Waves themselves the main actors. Simplicius: Why would physicists conspire to push false physics? Another point is that the “Multiverse” is suitably mysterious and absurd to impress common people. It is obviously the greatest miracle imaginable, so those who have penetrated this secrecy are very great men. We saw Einstein’s hypothesis of localization led to the Multiverse. As the Multiverse is unacceptable, so is the localization hypothesis. But we already knew this in several ways (diffraction, 2-slit, and other non-local wave effects; plus EPR style experiments, let alone the QM formalism itself, which also predicts non-localization). The intuition of the real sub-quantic theory depends, in part, on such facts. Light slows down in water. That’s a known experimental fact. The usual explanation is that, when light advances through water, it collides with water molecules. So it zigs and zags through the water, and this zig-zagging action slows it down. After showing why it makes no sense, I will present my solution, STRUCTURED LIGHT. The reasoning squarely contradicts Einstein on the photon, and its triumph helps to demonstrate how right it is. So the slow-down through collision theory predicts that light will lose energy when it goes through water. Proposing that light slows down from collision is thus wrong. What are photons, when viewed as Absolute Waves? Einstein proposed that photons (“Lichtquanten”) were points. He made it up. He had no proof, whatsoever, that this was true. It just sounded good. Worse: he did not need point-particle photons to explain the photoelectric effect. That error has poisoned the well of physics for 110 years. Thousands of physicists repeated what Einstein said. That Einstein was given the Nobel Prize for this exact idea, is no proof of its validity, as far as I am concerned. That makes me special. Light diffracts and bends around corners. Isolated photons do this. How could they do it, if they were not spread about transversally? Here is my conclusion: Photons are structured waves. This basically means that they have some width. This is now experimentally supported. What was published in Science on January 22, 2015? That water structures photons propagating through it. Structuring is what slows light down. Instead of having just one mask, as in the Glasgow experiment, we have thousand within one wavelength of light. Thus, instead of being slowed down .0001%, it’s slowed down of the order of 10% or more. As in the Glasgow experiment, photons are not “particles”, they are spread about (they have a “TRANSVERSE structure”). When a photon enters water, should it NOT hit a water molecule, the photonic wave will get endowed with a complex topology of non-trivial genus (because the non-linear wave that constitutes the photon has to have avoided nuclei and orbiting electrons, and the only way it can do that is by evolving holes in the right places). As a photon passes a water molecular group, it slows down a bit. The water molecules act like the mask the physicists applied to slow down the beam photons in their experiment. Those breaking episodes pile up, and integrate in a global slow-down. Frequency, thus energy, is unaffected. Some may object that the theory is obviously false: should not the slow-downs pile up, and thus, the thicker the water, the more photons will slow down? No. In the slowing down of the Structured Photons in vacuum, the slowing down is necessitated by the collapse of the photon back into a linear wave. It’s a one time event. However, in water, when the photon has acquired a structure which is enough like a sieve, after going around enough water molecules, it needs time to restructure. So over that distance, it has slowed down. Then the process repeats. The authors have declared that they could not see any application of the effect they discovered. In particular not in cosmology. However, I just found one, in everyday physics. The structured photon is the fundamental idea, the order one idea, of the Absolute Quantum Wave theory. The preceding, and the Glasgow experiment itself, establish it further (more is coming soon). There is no experimental support for Einstein’s views on the spatial the nature of the photon as a particle, there is plenty of evidence against it (the latest being Structured Light). By contrast there is increasing evidence for the Absolute Wave Theory. Einstein and company, bless their souls, pontificated about a lot of things they did not know anything about. That photons were point-particles is one of them. Time to move on. People love to be stupid, and not just because it is easier than being intelligent. Being stupid is lonely and embarrassing in individuals, so it is better practiced in groups. Not only is that smarter, but it provides with the joy and brainlessness of the collective. Yes, group stupidity happens in science too. Entire fields of science, such as phrenology, studying the shape of a skull to elucidate the intelligence therein, were completely idiotic. Yes group stupidity happens in philosophy too: see Immanuel Kant, and his grotesque assertion that to be moral is to obey authority. Yes, group stupidity happens in much respected theology. The Dominican Saint Thomas Aquinas (1225-1274), dedicated, as Saint Dominic was, to the extirpation of heresy, and most specifically Albigensianism, argued that the Old Testament, and the New Testament (Romans, 13), were all for the death penalty. “Heretic” is Greek for “exerted a choice”. If you exert mental choice, says Thomas, you should die. Thomas made in writing this death threat, many times. The clincher? This, arguably, depraved maniac, is still viewed to this day, as a “philosopher”, a “thinker” of sort, and a moral authority. Is this stupid, or is it criminal? The answer is that it is tribal. The very monstrosity of Thomas of Aquinas binds the Catholic tribe together. To respect such a monster is an initiation rite, a high moral hurdle. When the Nazis strove for power, they found enormous support among (a vast subgroup of) Nobel winning scientists and great mathematicians. Lenard (Physics Nobel 1905, and a collaborator of Einstein!) invented the notion of “Jewish science” (very bad, and all too relative). That was crucial to demonstrate that the Nazi tribe had brains, and thus was respectable. Human beings are nothing, if they don’t get mentors, themselves forming a connection to the supporting structure in a tribe. Thus, when individuals express an opinion, it’s actually a tribe which speaks. No space to go in the details, but tribalism, in that case German tribalism, is why Einstein’s “miraculous” papers of 1905 were published without any reference, as if he had invented them all by himself; Planck saw to it. It totally backfired. Viewing science as a tribal phenomenon is the fundamental revelation of the science of science. This explains why most papers in biology have been recently revealed to be false. Or why all theoretical physicists at Princeton are string theorists or supersymmetry artists of some sort. Neither strings, nor super-whatever have ever been observed, but the super stringy tribe was able to pull all the strings, and now it is in command of not just of this non-physical physics, but of the very definition of physics itself. This errance of tribes following false prophets, explains why science can err so persistently, sometimes. Witness: the Ptolemaic system (why would the much more gigantic sun rotate around the Earth at a frantic speed? It was easier to explain it all by a rotation of the Earth on itself, at a more sedate pace, as Aristarchus had proposed). But not just this. Tribalism provides the pleasure and power of the group. As the case of the strident Nazi scientists and philosophers shows, thinkers are not insensitive to the basest rewards. Then a small, greedy minority can provide cover for the most criminal enterprises. Some of the (rare) scientists claiming that there is no problem with increasing CO2 by 1% every single year, are generally revealed to be financed (directly or through institutions) by fossil fuels interests. Great geophysicists such as Allegre and Courtillot, heads of the very respected IPGP, are example of fossil fuel propelled loud deniers of the most basic of common sense. Yes, with all due respect, let me insist: yes, people do love to be stupid, just as they love initiation rites. This is actually initiation rites are often quite stupid and demeaning: stupidity itself is what has to be achieved. People love to not be smart, because lack of smarts is the ticket to tribe appurtenance. Lack of smarts is how the tribe is defined: that’s the central point of intellectual fascism. Indeed the tribe provides not just a refuge, but a space to blossom with lack of smarts. Even better: as it provides a definition for the tribe, lack of smarts provides a cover, a roof over the tribe. This is the fundamental reason why people engage in drinking alcohol, and especially drinking it to excess. Same with smoking that poison lethal in the smallest quantities, nicotine. People know it’s bad, and not smart. Therefore it’s ideal for defining a tribe. Hence telling drug addicts that what they are doing is not smart is not going to be effective: being silly is what they want to exhibit. Indeed, people love to belong to a tribe. It does not really matter which tribe. The more not smart the definition of a tribe, the better defined it gets. If some don’t believe me, I have a multiverse to sell them each time I spin an electron differently (unbelievably many theoretical physicists belong to that church of the multiverse). Call me the ultimate spin doctor. The multiverse tribe is very well defined, because short of wanting to kill one’s own son to satisfy a deity, it’s up there in the absurd, not-smart scale. Wanting to kill one’s son for the deity is the definition of Abraham, the founder of the faith of most religious people today, or, at least, of the noisiest. So why did Planck, editor of Annalen der Physik, allowed such a short-circuit, Einstein presenting himself as discoverer of Relativity? One can only suspect German nationalism, as all the physicists who elaborated Relativity before that were non-German (there was even an Italian whom Einstein knew personally, and a couple of Americans). It worked very well: to this day, Relativity is attributed to Einstein (although it’s Poincaré who discovered, demonstrated and published E= mc^2 in 1900…). Planck, discoverer of the Quantum, not so subtly boosted the aura of Germany, by attributing to Einstein the Theory of Relativity. That was in 1905. Within nine years, the German Empire made an enormous attack on the French Republic, hoping to conquer all of Europe before Great Britain could join the war. The main engine in this attack was German tribalism, the Prussian way (that is, very racist). Tragically, Planck’s eldest son was killed in World War One, while his second son was made prisoner by the French. Then German tribalism went completely berserk. Planck went to see Hitler, and told him that Nazism was going too far, and destroying German science. His second son, to whom Planck was very close, opposed Hitler, and was assassinated by the Nazis in 1945. Tribalism is fundamentally a war strategy, and thus nothing true intellects aiming to the full truth, ought to engage in. The science of science, and the philosophy of philosophy have to become more aware of it. Tribalism needs to be broken, and direct democracy, direct thinking, is how to break it. A drastically back-to-basic reasoning shows that the universe is held together and ordered by a Faster Than Light Interaction, QUANTUM ENTANGLEMENT. Nature is beautifully simple and clever. The Universe is held together by an entangled, faster than light interaction. It is time to talk about it, instead of the (related) idiocy of the “multiverse”. OK, it is easier to talk idiotically than to talk smart. I will present Entanglement in such a simple way, that nobody spoke of it that way before. Suppose that out of an interaction, or system S, come two particles, and only two particles, X and Y. Suppose the energy of S is known, that position is the origin of the coordinates one is using, and that its momentum is zero. By conservation of momentum, momentum of X is equal to minus momentum of Y. In Classical Mechanics, knowing where X is tells us immediately where Y is. One can say that the system made of X and Y is entangled. Call that CLASSICAL ENTANGLEMENT. This is fully understood, and not surprising: even Newton would have understood it perfectly. The same situation holds in Quantum Physics. This is not surprising: Quantum Physics ought not to contradict Classical Mechanics, because the latter is fully demonstrated, at least for macroscopic objects X and Y. So why not for smaller ones? In Quantum Physics, Classical Entanglement gets a new name. It is called QUANTUM ENTANGLEMENT. 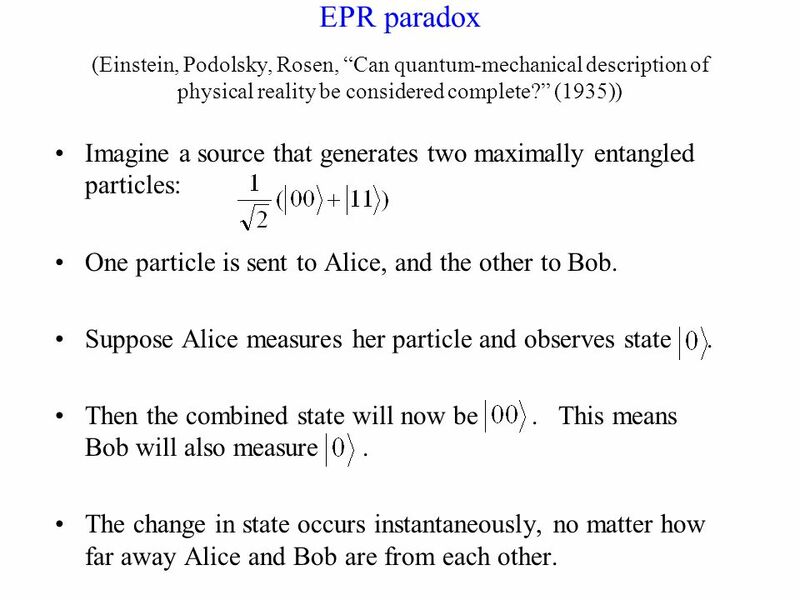 It shows up as a “paradox”, the EPR. That paradox makes the greatest physicists freak out, starting with Einstein, who called QUANTUM ENTANGLEMENT “spooky action at a distance”. Why are physicists so shocked that what happens in Classical Mechanics would also be true in Quantum Physics? Some say John Bell, chief theorist at CERN, “solved” the EPR Paradox, in 1964. Not so. Bell, who unfortunately died of a heart attack at 64, showed that the problem was real. De Broglie decreed in 1924 that all and any particle X of energy-momentum (E,p) is associated to a wave W. That wave W s uniquely defined by E and p. So one can symbolize this by: W(E,p). W(E,p) determines in turn the behavior of X. In particular all its interactions. De Broglie’s obscure reasoning seems to have been understood by (nearly) no one to this day. However it was checked right away for electrons, and De Broglie got the Nobel all for himself within three years of his thesis. Most of basics Quantum Mechanics is in De Broglie’s insight. Not just the “Schrodinger” equation, but the Uncertainty Principle. Take a “particle X”. Let’s try to find out where it is. Well, that means we will have to interact with it. Wait, if we interact, it is a wave W. How does one find the position of a wave? Well the answer is that one cannot: when one tries to corner a wave, it becomes vicious, as everybody familiar with the sea will testify. Thus to try to find the position of a particle X makes its wave develop great momentum. A few years after De Broglie’s seminal work, Heisenberg explained that in detail in the particular case of trying to find where an electron is, by throwing a photon on it. The Quantum Wave, and thus the Uncertainty, applies to any “particle” (it could be a truck). It is crucial to understand what the Uncertainty Principle says. In light of all particles being waves (so to speak), the Uncertainty Principle says that, AT NO MOMENT DOES A PARTICLE HAVE, EVER, A PERFECTLY DEFINED MOMENTUM and POSITION. It would contradict the “particle’s” wavy nature. It’s always this question of putting a wave into a box: you cannot reduce the box to a point. There are NO POINTS in physics. Now we are set to understand why Quantum Entanglement created great anxiety. Let’s go back to our two entangled particles, X and Y, sole, albeit not lonely, daughters of system S. Suppose X and Y are a light year apart. Measure the momentum of X, at universal time t (Relativity allows to do this, thanks to a process of slow synchronization of clocks described by Poincare’ and certified later by Einstein). The momentum of Y is equal and opposite. But, wait, at same time t, the position of Y could be determined. Thus the Uncertainty Principle would be violated at time t at Y: one could retrospectively fully determine Y’s momentum and position, and Y would have revealed itself to be, at that particular time t, a vulgar point-particle… As in Classical Mechanics. But there are no point-particles in Quantum Physics: that is, no point in Nature, that’s the whole point!). This is the essence of why Quantum Entanglement makes physicists with brains freak out. I myself have thought of this problem, very hard, for decades. However, very early on, I found none of the solutions by the great names presented to be satisfactory. And so I developed my own. The more time passes, the more I believe in it. A difficulty I had is my theory created lots of cosmic garbage, if true (;-)). This is high lawyerese: even as vicious a critic as your humble servant cannot find anything wrong with this craftily composed conceptology. Einstein had corresponded on the subject with the excellent philosopher Karl Popper earlier (and Popper found his own version of the EPR). This is no doubt while he was more circumspect that he had been before. Let’s recapitulate the problem, my way. After interacting, according to the WAVE PRINCIPLE, both widely separating particles X and Y share the SAME WAVE. I talk, I talk, but this is what the equations that all physicists write say: SAME WAVE. They can write all the equations they want, I think about them. That wave is non-local, and yes, it could be a light year across. Einstein had a problem with that? I don’t. Those who cling to the past, tried everything to explain away the Non-Locality Paradox. Einstein was a particular man, and the beginning of the EPR paper clearly shows he wants to cling back to particles, what I view as his error of 1905. 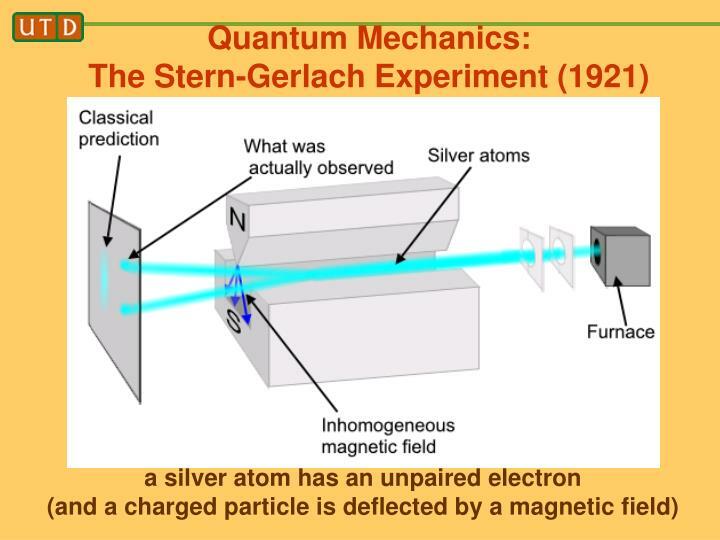 Namely that particles are particles during fundamental processes (he got the Physics Nobel for it in 1922; however, as I will not get the Nobel, I am not afraid to declare the Nobel Committee in error; Einstein deserved several Nobels, yet he made a grievous error in 1905, which has led most physicists astray, to this day… hence the striking madness of the so-called “multiverse”). The Bell Inequality (which Richard Feynman stole for himself!) 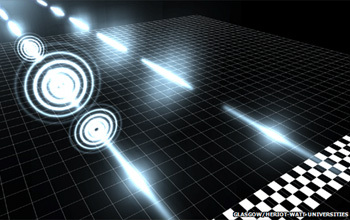 conclusively demonstrated that experiments could be made to check whether the Quantum Non-Local effects would show up. The experiments were conducted, and the Non-Local effects were found. That they would not have been found would have shattered Quantum Physics completely. Indeed, all the modern formalism of Quantum Physics is about Non-Locality, right from the start. Then Y reacts as if it had been touched. Because, well, it has been touched: amoebae-like, it may have extended a light year, or more. Quantum Entanglement will turn into Einstein’s worst nightmare. Informed, and all around, quasi-instantaneously. Tell me, Albert, how does it feel to have thought for a while one had figured out the universe, and then, now, clearly, not at all? Faster than light entanglement is a new way to look at Nature. It will have consequences all over. Indeed particles bump into each other all the time, so they get entangled. This immediately implies that topology is important to classify, and uncover hundreds of states of matter that we did not suspect existed. 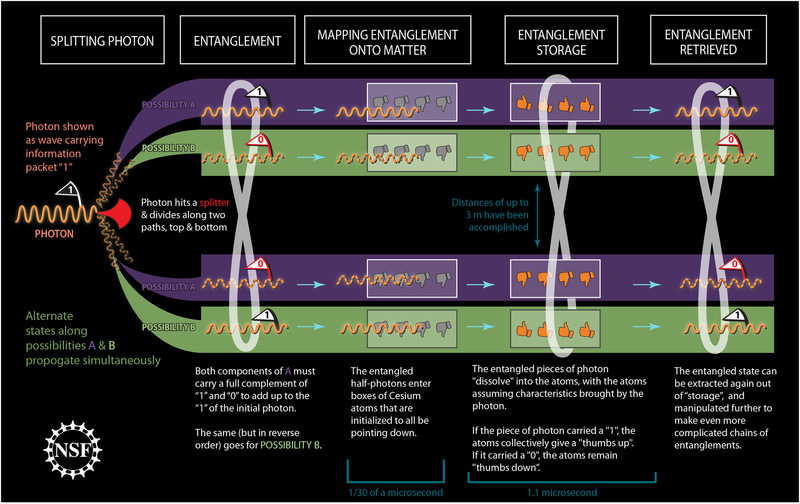 None of this is idle: Entanglement is central to Quantum Computing. Entanglement’s consequences, from philosophy to technology, are going to dwarf all prior science. Can we make predictions, from this spectacular, faster than light, new way to look at Nature? : That the De Broglie Principle, the Wave Principle implies Planck’s work is my idea, it’s not conventional Quantum as found in textbooks. : Interaction density depends upon matter density. I propose that Dark Matter is the remnants of waves that were too spread-out to be fully brought back by Quantum Wave Collapse. In low matter density, thus, will Dark Matter be generated. As observed.